Nowadays, who doesn’t use their smartphone or tablet to check airline reservations, do a bit of shopping or book a hotel? Apps for our devices have changed how we interact with the world, and traveling is no exception. There are a ton of apps to help you save money and get free perks while booking hotel rooms. Here are three of our favorites, as well as a list of apps for the top hotel brands. HotelUpgrade: If you appreciate being treated like a VIP whenever you check into a hotel, download the HotelUpgrade app. The company says it can help you get VIP treatment in the form of complimentary hotel upgrades, WiFi, breakfast, drinks and club-level access, as well as 500 to 10,000 extra bonus points per stay—regardless of your loyalty program status with the hotel brand. 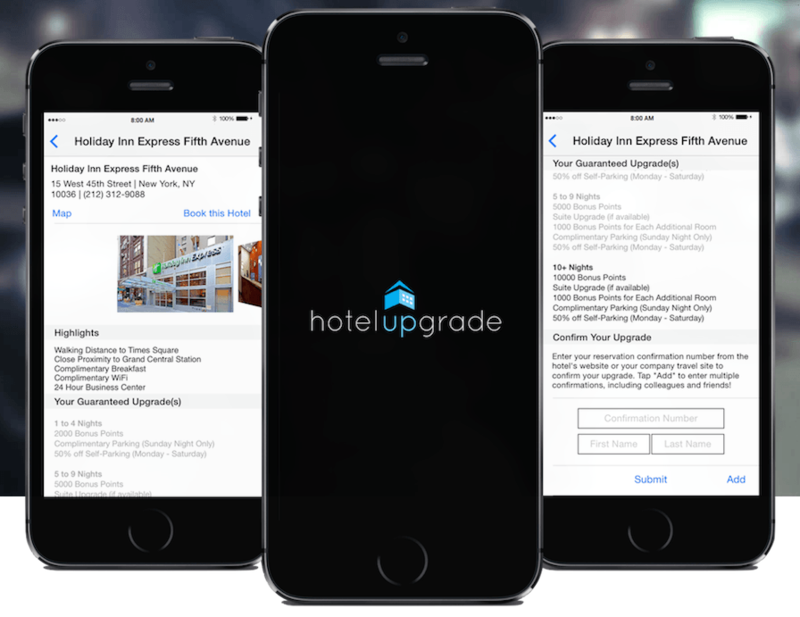 Book your accommodations directly with the hotel, and then add your confirmation number to the HotelUpgrade app to get your upgrade and/or freebies. The best perks are given to those who book five nights or more. As an added bonus, you don’t forfeit anything by using the app. HotelUpgrade perks can be stacked on top of whatever you get through the hotel’s rewards program. So what are the perks really like? Let’s take the Holiday Inn Express Fifth Avenue in New York City, for example. Book one to four nights, and you’ll get an extra 2,000 loyalty points, plus 50 percent off self-parking for stays on Monday through Saturday. Stay five to nine nights, and you’ll get an extra 5,000 loyalty points, 50 percent off self-parking and a suite upgrade (when available) for Monday through Saturday stays. Hotel Tonight: According to the company—whose tag line is “Plan Less. Live More”—the Hotel Tonight app connects you with last-minute deals on hotels. Inventory is loaded seven days out, and it only includes top-rated accommodations in all categories, from budget to luxury. The process to book a room is really simple and takes just three taps and a swipe. Some hotels available for booking on this app include the Gramercy Park Hotel in Manhattan, The Thompson Hotel in Toronto and Las Ranitas Eco Boutique in Mexico. Available for Android, iOS and Windows. JetSetter: If you’re looking to book a luxury hotel or resort, but you don’t want to pay full price, check out JetSetter’s app. The company offers flash sales and last-minute deals on some pretty spectacular getaways. 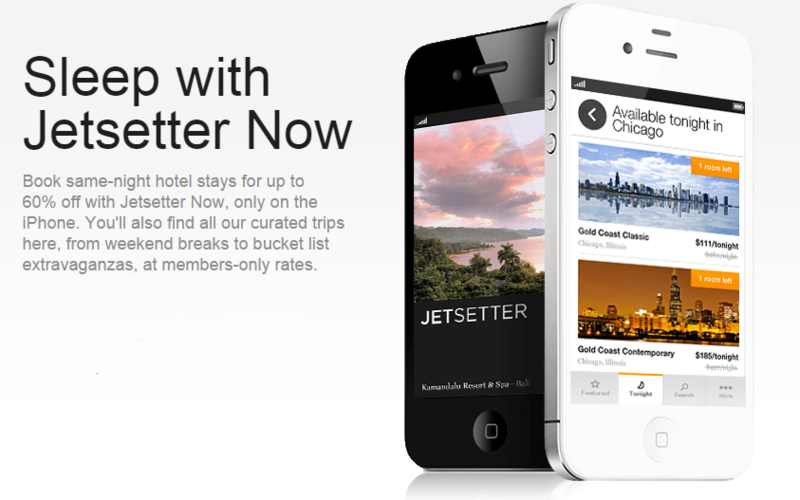 In addition, the app has a “permanent collection” of hotels that always offer preferred rates to JetSetter customers. There are some particularly good deals available for all-inclusive resorts, including Galley Bay in Antigua, Vuyani Safari Lodge in South Africa and Royal Hideaway in Playa del Carmen, Mexico. 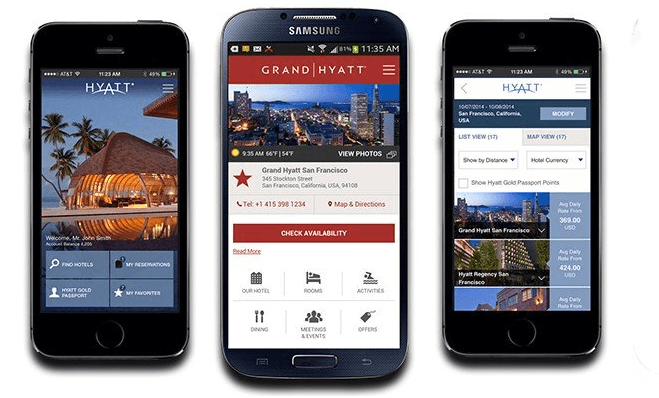 IHG-Related Apps: Android, iOS and Windows. IHG offers a variety of apps to cover its brands from Holiday Inn to Crowne Plaza to InterContinental and more. Download one or all of them.